Do you like puzzle games or brain teasers? Then Match-It-Up is the game for you. A simple, yet addictive matching game, Match-It-Up gets you to match color patterns to clear the board or beat the clock. 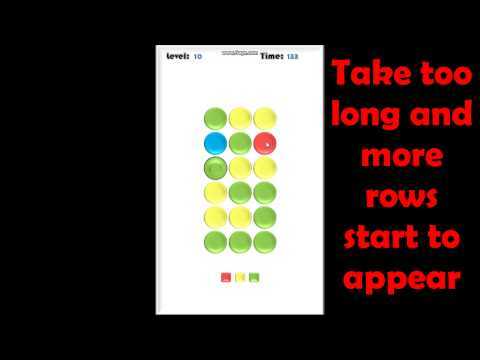 Players can choose to play the regular game and see how high up the levels they can climb, or play minute to win it and see how many rows they can clear before the clock runs out. With two ways to play and four difficulty levels, Match-it-Up is the perfect way to kill a little time.